The feature phone will be going on sale for the fifth time. The second feature phone from Reliance Jio, the Jio Phone 2 is going on sale again on September 20. The device has been put up for flash sales before and it always goes out of stock. If you haven’t got a chance to get the device yet, you can tune into Jio.com on September 20. 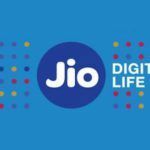 This would be the fifth time the Jio Phone 2 goes on a flash sale, but this time it comes with the added advantage of downloading several popular apps. The Jio Phone 2 now supports the popular messaging app, WhatsApp along with YouTube, Facebook, Jio TV, and Jio Cinema. You can go to the Jio store and download these apps on your feature phone. Apps like Jio TV, Jio Cinema, and even Facebook come pre-installed on the device. In case you don’t find them on your screen, you can check with the Jio store and download these apps. One more app that comes pre-installed include Jio Music and you can also download Google Maps from the Jio store. Users had been eagerly waiting for the device to support WhatsApp and YouTube. 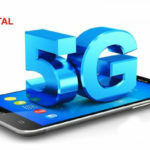 And, the telecom operator has lived up to its promise and did the needful. The Jio Phone 2 now supports almost all the apps you would need on your handset. 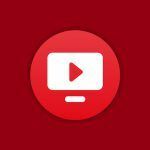 You can download both YouTube and WhatsApp from the Jio Store. Once WhatsApp is downloaded, Jio Phone 2 users need to follow the standard registration process and start using the popular messaging platform. WhatsApp on Jio feature phones would be similar to that on the regular smartphones. Users also get to use voice to type messages. When it could be a little troublesome to type on the T9 keyboard on Jio Phone, the QWERTY keyboard on Jio Phone 2 should make it easy. The Jio Phone 2 is the second most successful attempt of Reliance Jio to bring 4G to the masses. 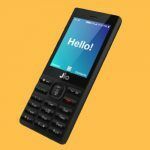 The first feature phone from the Mukesh Ambani-led company was a big hit, and the Jio Phone 2 is taking the success charts even higher. The Jio Phone 2 comes with a better design, a full QWERTY keyboard, and more features. Hardware-wise, there aren’t any differences between Jio Phone and Jio Phone 2. The Jio Phone 2 features a 2.4-inch QVGA display, which is now in landscape mode. The device comes with a full QWERTY keypad along with a four-directional navigational pad. Under the hood, the feature phone is powered by a Spreadtrum processor, paired with 512MB of RAM, and 4GB of onboard storage. You also get a microSD slot for expanding the storage even further and it has dual-SIM slots as well. The feature phone comes with camera units but the optics department does not impress, which is understandable. The Jio Phone 2 comes with a 2MP camera at the rear, and a 0.3MP camera at the front for selfies. Keeping the device alive is a 2000mAh battery, which is good enough to last reasonable hours. 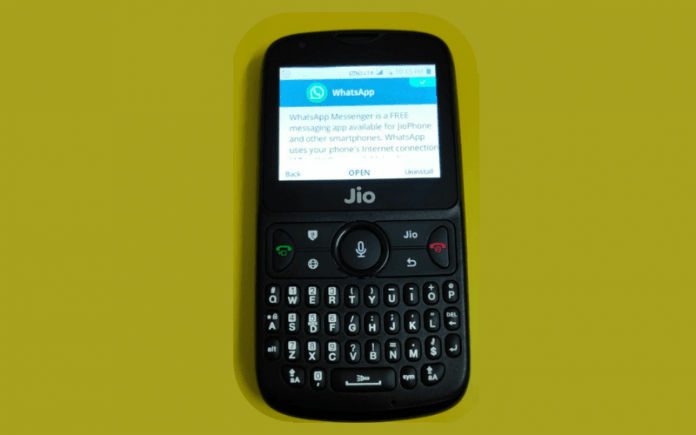 On the connectivity front, the options that tag along with the Jio Phone 2 include Wi-Fi 802.11 b/g/n, NFC, Bluetooth 4.1 LE, 4G VoLTE, along with an LED torch. On the software front, it runs on KaiOS, and now it comes with support for all the major apps including WhatsApp, YouTube, Google Maps, Facebook, Jio TV, Jio Cinema, and more. The Jio Phone 2 has been priced at Rs. 2,999 and it does not come with any offers during the flash sale. You could expect the reduction in prices sometime later or it could also come with exchange offers as well. For now, the price is fixed. Tune into Jio.com on September 20 and purchase your unit.